SALT LAKE CITY – Jan. 29, 2014 – Northrop Grumman Corporation (NYSE:NOC) recently provided grants worth nearly $7,000 to support two science, technology, engineering and mathematics (STEM) educational initiatives and one job training program in Salt Lake City. Northrop Grumman awarded a grant to Prototype-X, a For Inspiration and Recognition of Science and Technology (FIRST ® ) Robotics Competition team. FIRST ® is a nonprofit organization that aims to motivate youths to pursue STEM opportunities, while building their self-confidence, knowledge and life skills. Consisting of 14 high school students, the Prototype-X team designs and builds robots for FIRST ® competitions. Additionally, Northrop Grumman awarded a grant to Neil Armstrong Academy, which serves pre-kindergarten through sixth-grade students with an emphasis on STEM education and problem-solving. The grant funds will be used to purchase and install a weather station at the school, educating students about meteorology and air quality. Additionally, the weather station will provide complete weather data for the northwest region of the Salt Lake Valley, resulting in more efficient use of irrigation systems and greater water conservation by local businesses and homeowners. The nonprofit Columbus Foundation, which also received a grant, supports the growth, development and independence of disabled individuals through vocational training. Adults ages 18 through 30 receive employment support as they transition from high school to the workplace. "Northrop Grumman recognizes the importance of STEM education and job opportunities for the future growth and prosperity of not only our company but also the nation as a whole," said Jim Lupica, director of manufacturing and the lead campus executive for Northrop Grumman's Salt Lake City facility. "We are proud to continually support creative, engaging programs that benefit the community in which we work and live." Northrop Grumman's ongoing commitment to STEM education includes annual sponsorship of the High School Involvement Partnership program, which offers high school seniors hands-on job training and mentoring from Northrop Grumman employees. 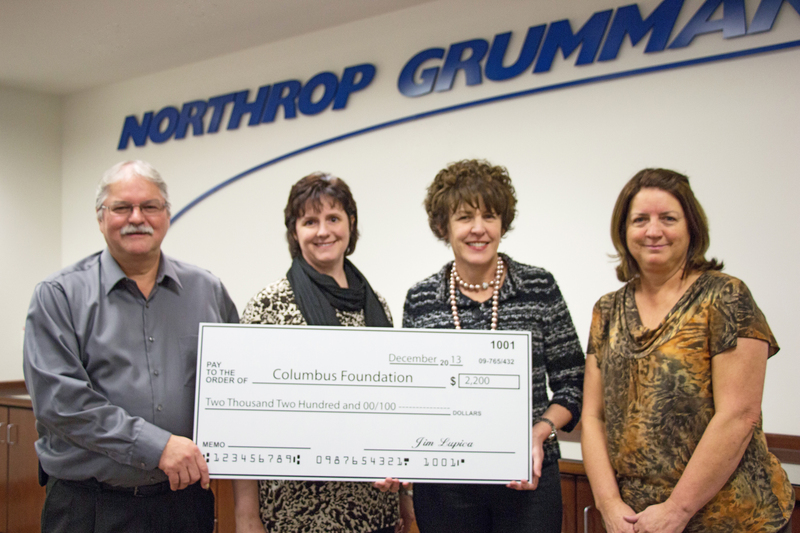 Additionally, the Northrop Grumman Engineering Scholars program provides academic-based scholarships to promising high school seniors who plan to pursue a career in engineering.